All Radiator covers and mantel shelves incorporate optional fully controllable Multicolour LED lighting to provide unlimited moods and effects for your home. These effects are amazing, and are remote controlled so you can choose any colour and colour brightness or switch on a repeating multicolour sequence. The effects created by the multicolour lights shimmering through eyelets or crystals and emanating through a glass top or the bottom of the case onto the floor are striking. Comprising a self adhesive LED strip, powerpack and plug adapter, creating a nightclub effect in your living room is now possible, or simple high quality colours that accent your existing decor and furnishings. 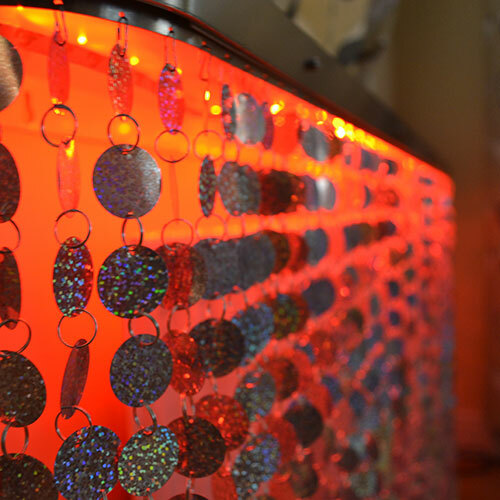 One thing is for sure, you will regularly change colour to suit your more immediate moods.... the LEDs are spellbinding.